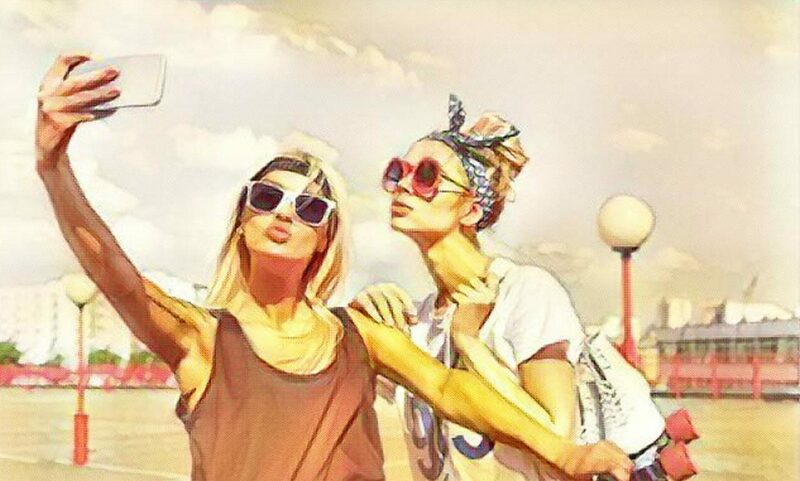 Take pictures and selfies is fine, yes, but sometimes it can be a bit monotonous or boring. Many manufacturers offer various options in their camera applications to turn our images into something different and, in many cases, more fun. Such is the case, for example, of Sony Xperia with its AR Effects or Samsung with its Emoji. 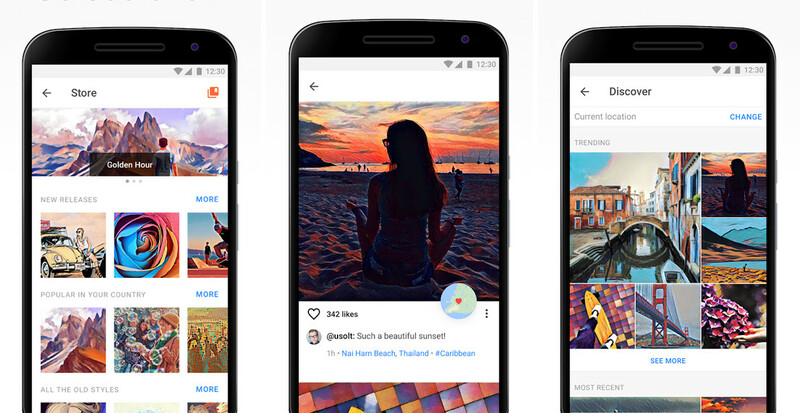 But if you are looking for something more and do not settle for color filters, Google Play has a large number of applications with which you can get incredible artistic effects for your photos and selfies. From those that generate a comic drawing from it, to those that turn a portrait into a work of art. Here we bring you some examples, but there are many more; if you know others that are recommended, do not forget to leave us your suggestions in the comments. This application, which first landed on iOS and later on Android, allows you to transform your photos into works of art using the style of famous painters: Munch, Picasso … In addition, it has a quick sharing function so you can show it to everything the world your creations. In the case that we want to edit a portrait, it eliminates the possibility of using three different modes: filters in the face, filters in the background and filters in both. Also worth mentioning is the “store” where you can download more filters (organized by categories) and reorganize the ones you already have, eliminating those you do not like. 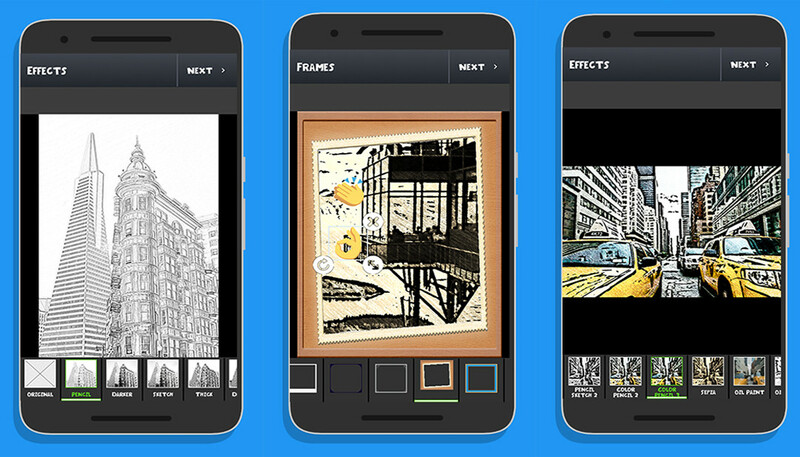 It has a collection of more than 200 filters, including classic, comic, modern, abstract and mosaic styles. 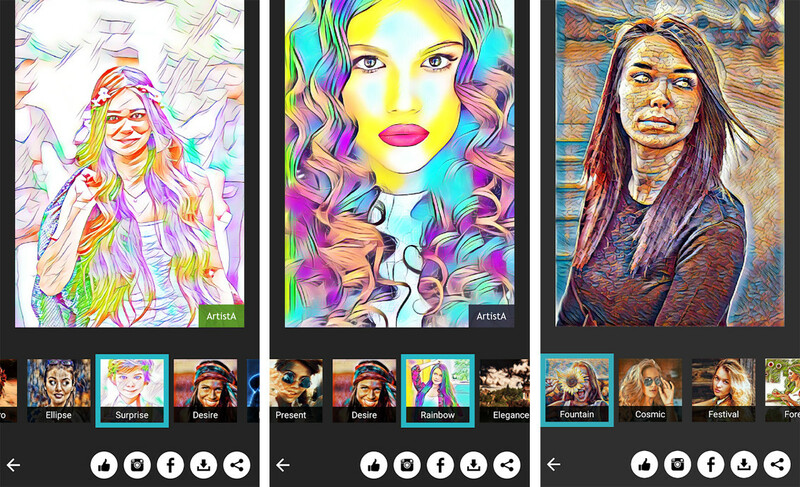 Once the filter is chosen, it allows you to modify the settings, preview your image and share your artworks with friends and family by email or social networks. It also proposes a large community of users where you can display your illustrations, receive comments and talk with other artists. The free version of Painnt limits the resolution of the final image, displays advertising and adds a watermark. If you want to unlock the entire filter library, hide the watermark and advertisements and process in high resolution, there is a paid subscription. This application proposes a large number of filters (many of which are free), which is increasing regularly as developers incorporate new options. Among them, we find predefined templates inspired by art masters such as Van Gogh or Monet. 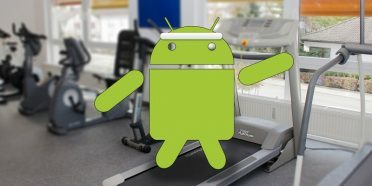 The download is free, but offers purchases within the app to, for example, remove the small watermark, create high-quality versions of the photos (up to 2880 X 2880 pixels) to print or access a greater number of filters. You just have to choose an image from the gallery or use the camera function to take a new photo and you can transform it into a pencil drawing or an illustration with more than 20 available effects (regular pencil, dark pencil, comic, comic sketch, colored pencil, etc.). Selecting the option of hand drawing, in addition, you can draw on the image with your own finger by customizing the color and line width to taste, and choosing between the normal pencils, metal and blur. It also allows you to apply color and light improvements, or add text and stickers in the images. 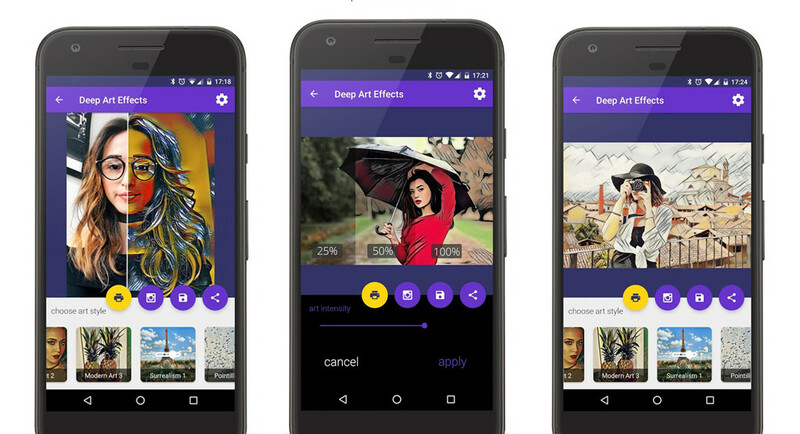 According to its developers, this application transforms photos and selfies into famous works of art with the help of Artificial Intelligence. To do this, he proposes more than 40 effects inspired by artists such as Van Gogh, Monet, Leonardo da Vinci, Michelangelo, Picasso, Raphael, Rembrandt, Dalí, etc. It is also possible to convert a photo into a sketch, a pencil drawing or an oil on canvas. 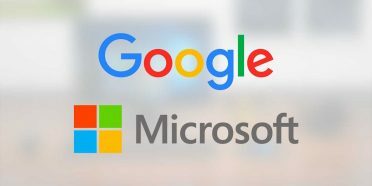 Image processing is carried out in real time, but the creators of the app ensure that the photos are not transmitted to third parties or stored on their servers, so the image rights are still yours. Once you have created your artwork, you can print it, save it and share it on social networks (Instagram, Facebook and Twitter). One of the virtues of this simple application is its interface, simple and very intuitive. 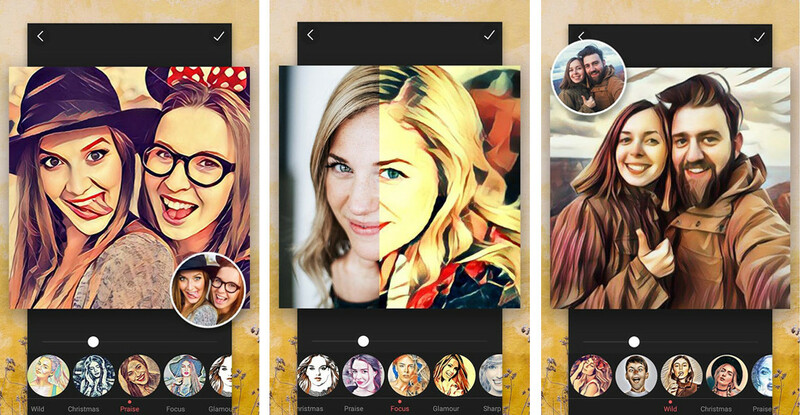 In a few steps, you can transform a selfie or any photo into an image similar to those of comics. It also has a large gallery of filters (some fun and other artistic) and allows you to adjust the intensity of the effect so that it is more or less artificial. The main downside that we find is that, as the processing is done on their servers, they often collapse. Still it accumulates more than 10 million downloads on Google Play and has a rating of 4.1 out of 5. The download is free, but offers purchases within the app. This simple application allows you to edit your photos using simple touch gestures to rotate, resize, crop and move. 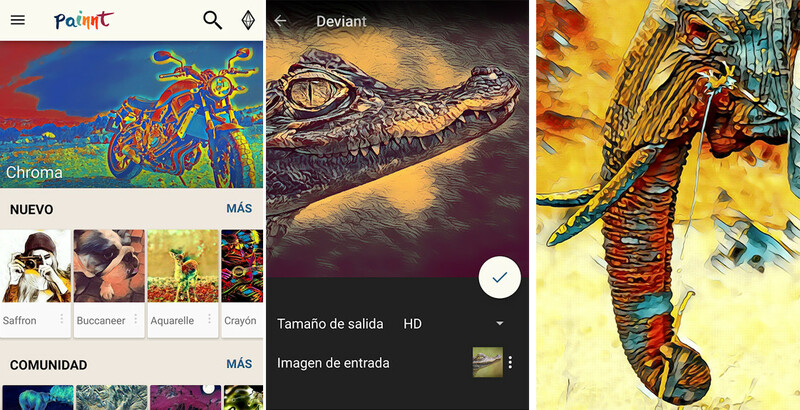 You can also add artistic effects (such as popart, oil painting, cartoons and cartoons, for example), create collages and even save a sketchbook. Also, once you have finished your work, you can share it on Instagram, Facebook, Twitter and Pinterest. The application is free and comes with more than 50 filters, but includes ads.